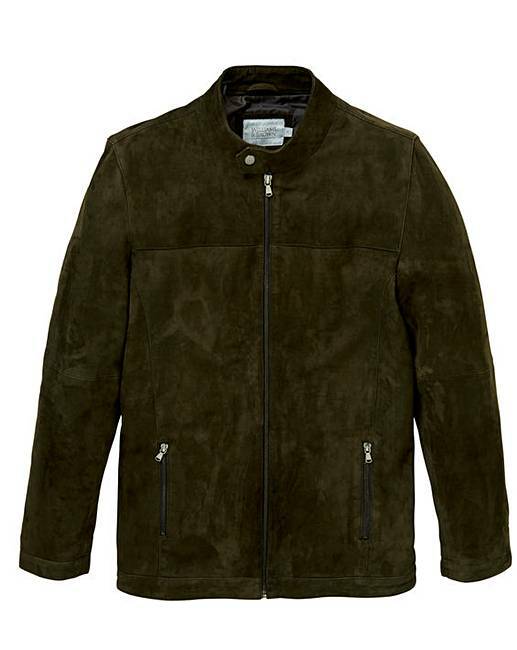 W&B Olive Suede Biker Jacket R is rated 5.0 out of 5 by 2. Suede biker jacket features zip front, two zip fastening hip pockets, press stud fastening neck tab and one inside pocket. Rated 5 out of 5 by Dan Knight from Quality feel and look. Really beautiful jacket, thin leather, beautiful fit and feels like quality. Great price too! Very happy!